Full-house and renovation sponsorships are a fantastic way for universities, civic groups, faith-based communities and giving circles to take ownership of a project. Donations are pooled together to change the life of a family by helping them build a home on terms they can afford or by giving a dilapidated house new life through repairs and renovations. Individuals are also invited to sponsor projects. Many Fuller Center supporters ask their friends and families to help them sponsor a project in honor of a special event such as a birth, wedding, anniversary or in memory of a loved one. 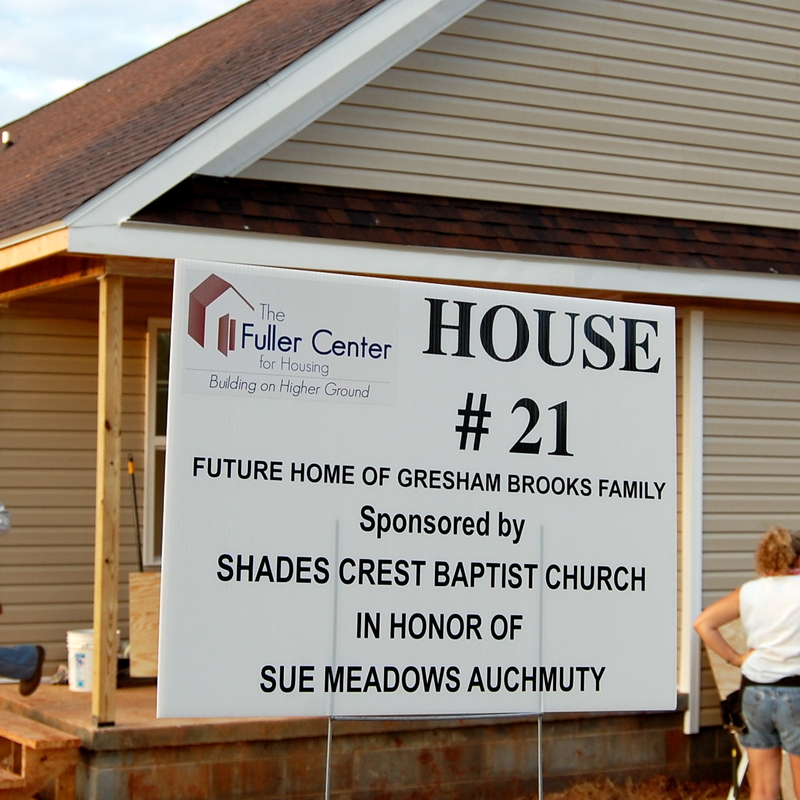 Individual church congregations have gotten together to build a house in honor of a beloved pastor. Please contact Kirk Lyman-Barner at kirk@fullercenter.org or 229-924-2900 to discuss setting up a sponsorship. Or you can contact your local Fuller Center covenant partner to sponsor a project in your own community. Visit the Programs section and search for the covenant partner nearest you. Sponsor a house or rehab in the United States. Sponsor a house or rehab internationally.